Publishers have the ability to choose a particular algorithm to determine what pieces of internal content are displayed within their widgets. 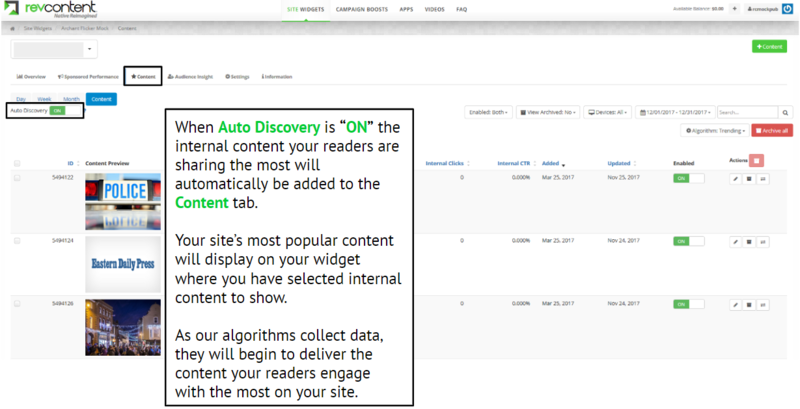 These tools will apply to both content that is added by “Auto Discovery” as well as manually added content. These tools were built to not only give publishers complete control but also give them never before seen insights to their internal content. 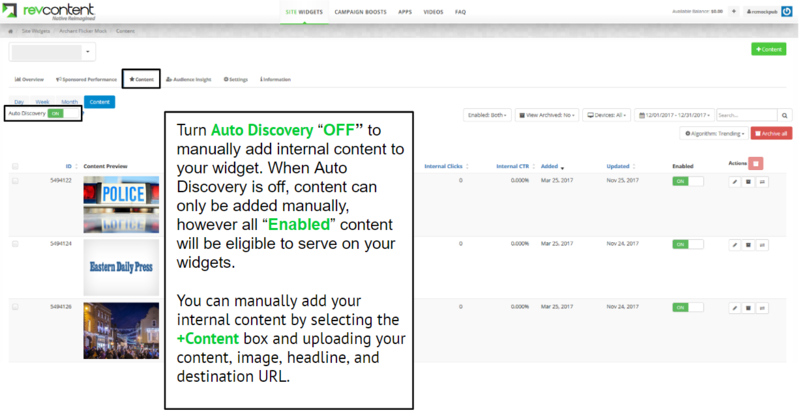 From the Site Widgets page, select the specific widget you would like to enable or disable Auto Discovery on. You can add internal content placements to your widget at anytime in the Settings tab of your widget. Under Layout Settings, simply select the boxes where you would like internal content to display. The box will turn yellow to notify you where internal content will appear on your widget. Be sure to apply this to all devices. When finished, save your changes. Changes may take up to 30 minutes to fully take effect.